The forecast of rain for the past weekend was widely welcomed with the anticipation of some relief to farmers in such desperate need of rain and to NSW generally, with the state having been declared 100% in drought. Whether it came as light showers or heavy downpours, there was much excitement. At Greenhill Speedway, the home of Macleay (Kempsey) District Motorcycle Club, the scene was set for the 28th running of the Akubra Classic on Sunday 26th August 2018. After months of work and time spent organising the Club’s ‘signature’ event, the gates opened at 7.00am but without the riders getting on the track, by 10.00am the event was “called” because of the rain. On a loose dirt motorcycle track, riding can continue in the rain – even as the surface becomes mud – until it is assessed as unsafe to ride on. Like Taree Motorcycle Club’s Old Bar Roadside circuit, Kempsey’s Greenhill Speedway is an oil track. Even slight rainfall brings the use of an oil motorcycle track to an immediate halt – the mixture of water on the oil surface renders the track dangerous very quickly. 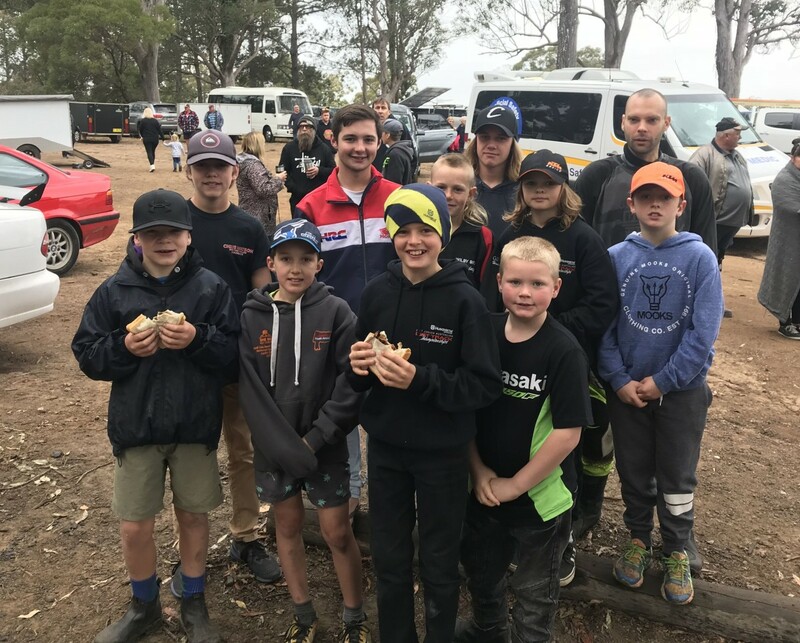 All thirteen (13) Taree Motorcycle Club riders entered in the 28th Akubra Classic main event and support classes were there at the Greenhill Speedway ready to ride, with their support crews ready for an exciting day of racing. The 2018 Akubra Classic program listed sixteen (16) classes to be run and because of the number of entries in the Pro 450cc. 250cc 2 Stroke & 450cc 4 Stroke class and in the Akubra Classic Solo, three (3) heats were needed in these two (2) classes. Riders from NSW and interstate, as far afield as North Brisbane, Townsville and ACT clubs, were entered in the 2018 Akubra Classic race meeting. While there are many well-known motorcycle riders in the list of Akubra Champions, the following points of interest indicate that notable achievements in the sport of motorcycling could be said to run in some families. Among those listed as Champions in the Akubra Classic Solo (main) event is Taree’s, Ken Bisley, who was placed 1st in 1998, 1999 and 2004. Among those listed as Champions in the Akubra Classic Sidecar event are Taree’s Ian Bisley and Robert Minnett, placed 3rd in 1997 and 1st in 2000. Taree Motorcycle Club Juniors, Will Bisley #45 and Mitchell Bisley #107 were entered in Sunday’s event – Will in the 65cc 9-U13yrs, 85cc 2st/150 Standard 9-U12 yrs, 85cc 4st Modified 7-U10 and 85cc 4st Modified 10-U14yrs (combined) and Mitchell in the 85cc 2st/150 4st Standard Big Wheel 11-U15yrs. Troy Herfoss is currently placed 1st in the Provisional Progressive Championship Points in the YMI 2018 Australian Superbike Championship (and Troy Bayliss 3rd) and in 2004, Troy Herfoss was placed 3rd to Ken Bisley in the Akubra Classic Solo event. Jamie Staufer is currently racing in the YMI 2018 Australian Superbike Championship and was placed 2nd in 1996 to 1st placed Daniel Staufer and 2nd in 1998 to 1st placed Ken Bisley in the Akubra Classic Solo event. Oli Bayliss (Troy’s son) and Max Staufer (Jamie’s son) are currently riding in the Australian Supersport 300 Championship. In 1992, Taree’s Tony Hyde was placed 3rd to 1st placed Paul Caslick in the Akubra Classic Solo event. 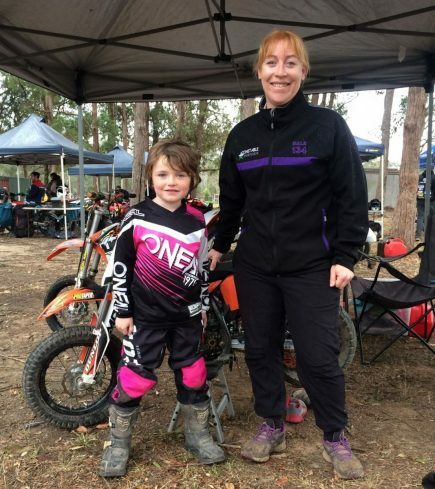 “In 1984 Taree Motor Cycle rider Tony Hyde won his first State title, the 10-14 years modified four stroke in the championships held at Bulahdelah. That track no longer exists. Tony was the Times Sportstar of the Week for his effort. Many names appearing in the Akubra Classic Champions list have also competed at the Troy Bayliss Classic at Taree over the years, with the Akubra Classic (main event) being used as a qualifying event for the Troy Bayliss Classic (main event). As of Monday afternoon, the Kempsey Club has now set down the 4th November as the date to hold the washed-out Akubra Classic race meeting. The Club has advised that all existing Akubra entries had been moved to this date and entries are reopened. The second round of the Tri-Series between Taree, Kempsey and Gunnedah is set down for Saturday 3rd November at Taree and the third round was to be on Sunday 4th November at Kempsey but has now been cancelled. Three-time World Superbike Champion, Troy Bayliss, raced for Taree Motorcycle Club in the 2017 Tri-Series in both the Taree and Kempsey rounds.